Spring is so close that we can taste it! Why wait for your spring break getaway. March and April are perfect months to plan a Eureka Springs Getaway. 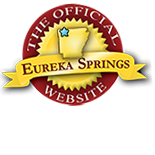 Don’t miss these fun Spring Break activities in Eureka Springs! As winter ice starts to melt and spring rains begin, waterfalls around Eureka Springs come alive! Many of the natural springs that put Eureka Springs on the map can be found around town. There is also no better time of year to explore the woods and find great waterfalls near Eureka Springs. The best way to tour the Ozarks is through the air! Ozark Mountain Ziplines offers a thrilling view from the top. So safe, even kids can do it. Ozark Mountain Zipline tours are a great family activity in Eureka Springs. Their professional guides, top grade equipment and lines, routine safety checks all make this “extreme” sport an adventure for the young and old alike! Go spelunking in one of the Ozarks prettiest caves! Cosmic Cavern is an underground jewel, and its fun-for-all-ages cave tour is sure to impress. The tour lasts 1 hour and 15 minutes and is a steady 64 degrees year round. Click here for tickets and more information! This entry was posted on March 15, 2018 by service424 in Family Fun, Festivals, Fun Downtown, Things to Do, Weekday Getaway and tagged Cosmic Cavern, Eureka Springs, Kite Festival, Ozark Mountain Ziplines, spring break, Turpentine Creek Wildlife Refuge, waterfalls, waterfalls near Eurkeka Springs.